Here's the perfect gift for the mortuary science graduate! 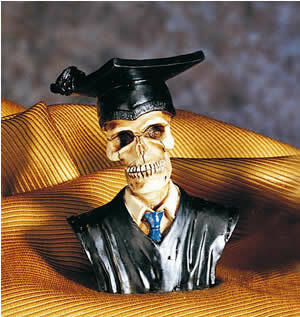 This skull figurine is ready for graduation proudly wearing cap and gown. Measures 4 1/8". Made of cold cast resin. Hand painted.